In this newsflash the newest addiotions, with lot's of new Geocoins. Recently, we also became official Garmin dealer. 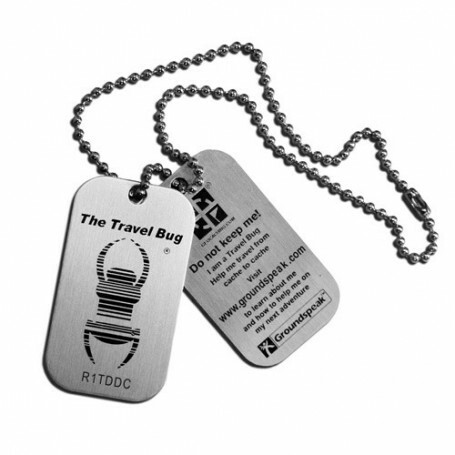 We added already the most important products for Geocaching on our website. More will come soon. It is getting dark earlier now, which means that there are more options for night caches. For both cache makers and cache hunters, we have some new products. At this moment, we are busy with the preparations for the upcoming events in Houten (Internationaal Navigatie Event) and the Snert Event in Groningen. This Geocoin has been in the works for over 8 months. 8 Dies were gone through to make this coin just right. The weel on the back can turn. This Dragon Geocoin is 2" just for the base and weights about 85 gram! Each Geocoin has 2 stones for the eyes. A nice new coin which describes the life of a Geocacher. If you want to reward the first one who finds your cache? We have a nice Geocoin and Pin with the FTF ribbon. This Geocoin has been designed bij van Stoffelen Sr in is about the city of Groningen (The Netherlands). For those who are crazy about their iPhone, we have a funny Geocoin version of this incredible device. You can find these and other Geocoins on our website, at Geocoins. For the makers of night caches, we now have the special 3M microprisma foil and the original Stealth Bright Firetacks. To walk a nightcache, you need a good flashlight. Fenix has compact but very powerfull flashlights. Recently Fenix came with a few new models. The TK12 which has maximum light output power (225 lumen!) for 1,5 hours. There is also an extender available, so that rechargeable batteries can be used (18650). If you want to hook your cache on a fence or gate or on a roadsign, we have strong compact magnets made of Neodym. Next to our black Nano cache containers, we have now also silver colored Nano's (both with a magnet bottom). You can use these on a fence or roadsign. You will hardly see them! Each Nano comes with 2 logrolls made of Rite in teh Rain paper. We also have logrolls, -sheets and -books in different shapes. Look at our site for the different options. New is a double wall cachecontainer. We have them in 3 sizes, all in zwart. You can find these product on our website, at Cache containers and Logging. On october 6th, we will join the European Navigation Event. This event has been organised for several years now and has been mainly focusing on testing new (car)navigation systems. This year, it is for the 5th time, they will also touch upon other areas of GPS naigation for cycling and walking and Geocaching. The Geocachingshop will be there to explain about Geocaching. Next to that, it is possible for the participants to do a small multi-cache. Check here for registrate for the European Navigation Event. On october 24th, the Geocachingshop will be at the Snert event in Sellingen. We will be there around 10am and stay until the evening. We will bring as many things as possible. If you have special whishes, please let us know. If you have any questions, please send an e-mail to: info@geocachingshop.nl.